NPA MANAGEMENT SETS UP INVESTIGATIVE COMMITTEE ON TINCAN FIRE INCIDENTS. 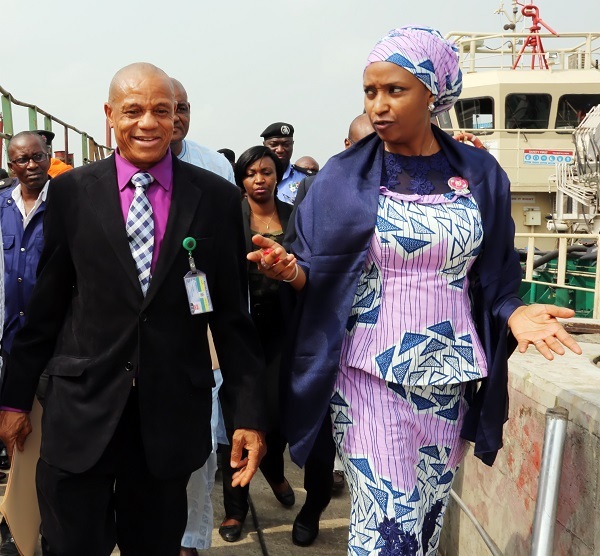 The Managing Director of Nigerian Ports Authority (NPA), Hadiza Bala Usman has on behalf of the entire Management team of the organization expressed a heartfelt sympathy to the Executive Committee of the Association of Nigerian Licensed Customs Agents (ANLCA) over the recent fire incidents which occurred resulting in the loss of some official documents at its Tincan Island Port Complex (TCIP) locations. The MD stated that Management will always make sure that the security of lives and property which is one of its cardinal thrusts since inception is strictly adhered to. 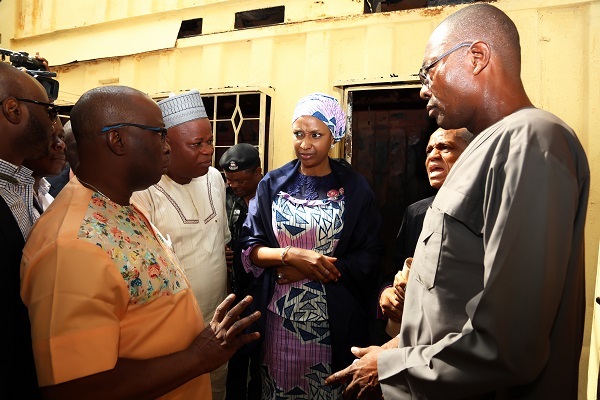 According to her, further steps would be taken to look into ways of safeguarding and taking drastic measures towards preventing a recurrence of these unfortunate incidents across all port locations in the country. She made these statements when she paid a scheduled working visit with some members of Management team to the recent fire scenes, informed the gathering that an investigative team would be set up immediately by Management to look into the remote causes of the incidents and come up with recommendations towards preventing a recurrence of the sad event. Executive Committee members of ANLCA led by Dr. Kayode Farinto while thanking the MD and her team on the visit solicited for the inclusion of a member of the Association’s Committee to be part of the investigative team by NPA. 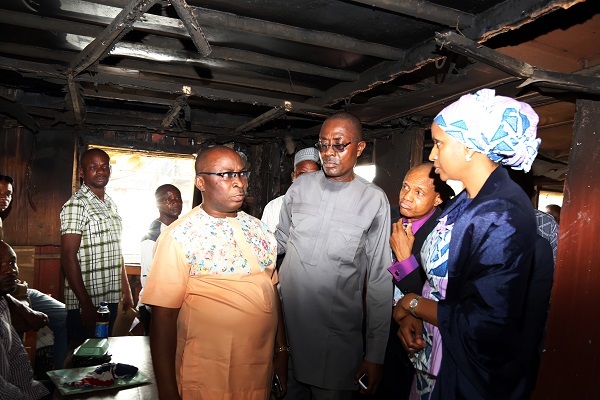 The Committee eulogized the quick response and professionalism of the NPA Fire Service Division towards combating the inferno which could have been more devastating, and requested that NPA Management provides a fire truck to take care of its vicinity. 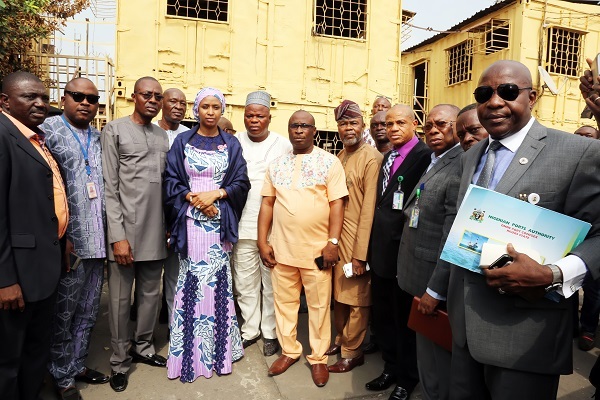 The Managing Director was accompanied by the General Managers Corporate and Strategic Communications, Abdullahi Goje, Lands & Assets Administration, Adams Jatto, the Managing Director Seaview properties Engr. Musa Wada as well as the General Manager in the MD’s office, Capt. Iheanacho Ebubeogu.